Disasterina Fine Art prints are suitable for framing! Hej! 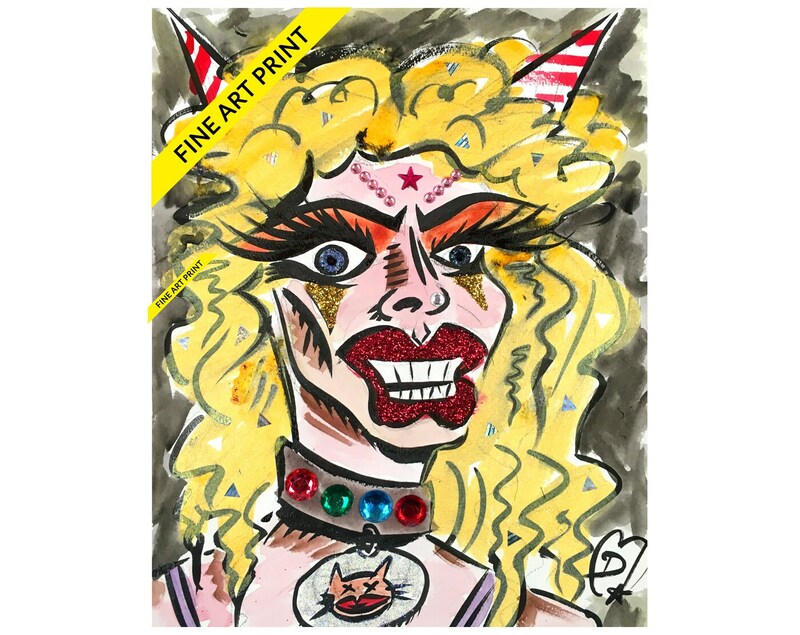 You can get a fabulous Disasterina artwork Fine Art Print for a fraction of the cost of an original! These are high quality prints on nice 100pb. paper, really crisp with excellent color. You need this on your wall to impress friends, queens, relatives, enemies, and bizarre freakazoids! Comes with foam core board and a cellophane protector. Dimensions: 8"x10". The original artwork was done in ink and watercolor on paper with fun blingy sparkle things and holograms and glitter added! Wow! 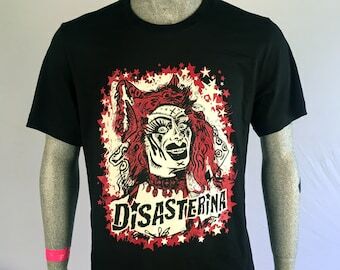 It is a self portrait of LA's Most Disastrous Drag Queen Disasterina who is a cast member of The Boulet Brothers' Dragula Season 2. The print is very rich in color... is not pixelated and printed on a very good quality paper! and thanks for the personated little message added to the package :-) cant wai't to order again!